Sarah Howaidi is an amazing Saudi graphic designer, based in Jeddah. 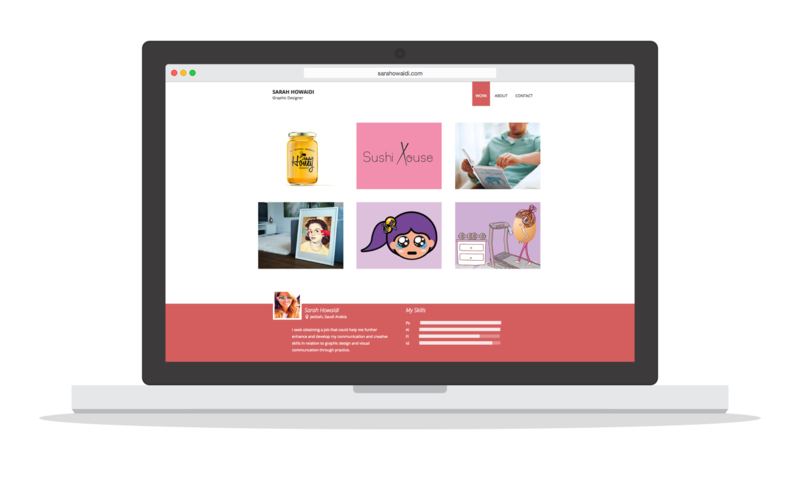 She wanted to create an online portfolio that showcased her latest work. 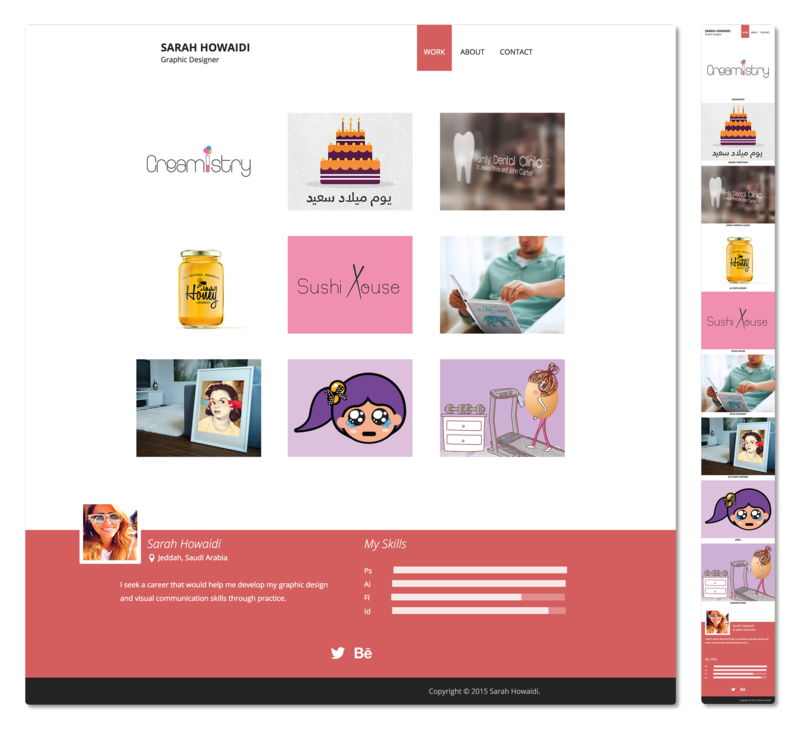 After designing the concept for the website she wanted, she approached me to help make it all happen. 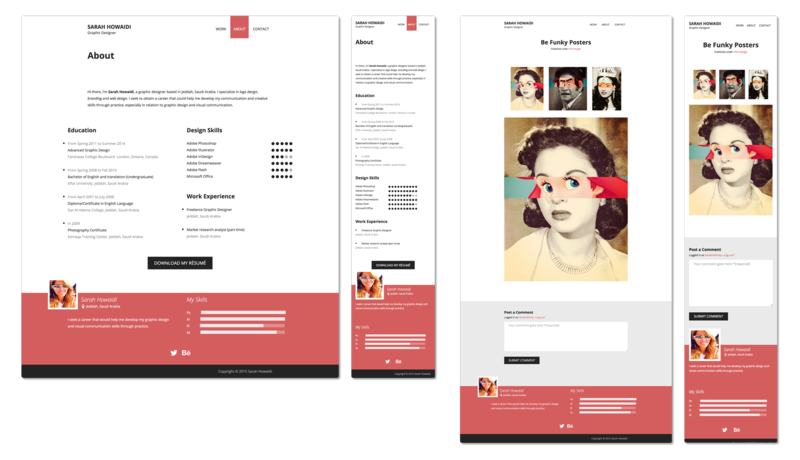 We worked together to develop a clean, minimal portfolio that focuses on the content; her work and her résumé.